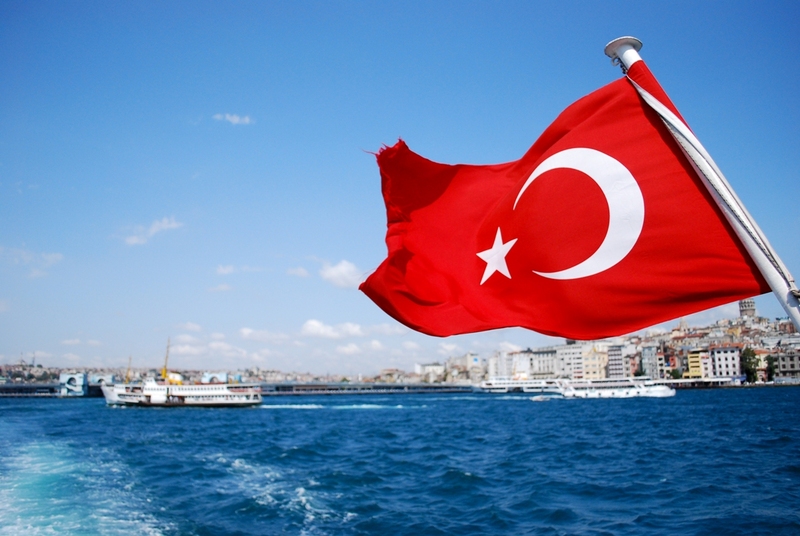 He noted that Turkey should also be included because it has been part of an EU customs union for 17 years. 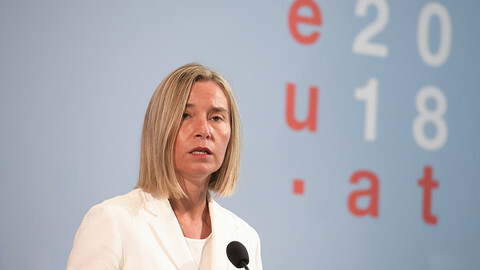 The EU and US are seeking to finalise a free trade deal by next year. It is shaping up to be the biggest ever such agreement and is projected to bring €120 billion a year in gains for the EU and €95 billion for the US. 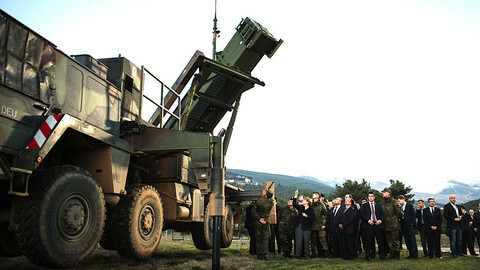 Turkey has been raising concerns about it behind closed doors for several months. But it is unclear how bilateral EU-US negotiations could be turned into trilateral talks even if the EU wanted to give Ankara its way. 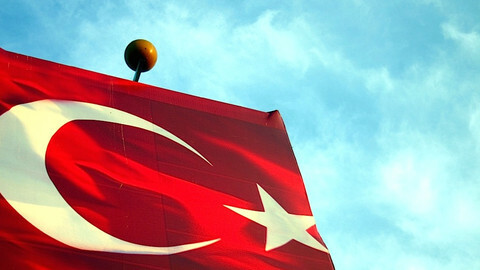 For his part, European Commission spokesman John Clancy told EUobserver that Turkey should create its own US trade pact in parallel with the EU-US deal. "[EU trade] commissioner [Karel] De Gucht has already instructed his services to provide … support to the Turkish authorities in this respect. [Our] services have already raised this issue with their US counterparts, at senior and political level, including at the level of chief negotiators," he said. 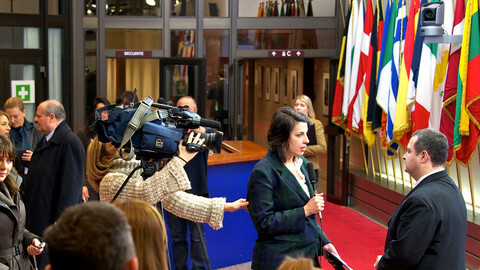 He added "there are, and there will continue to be, open channels of information" between the EU and Turkey on US trade. 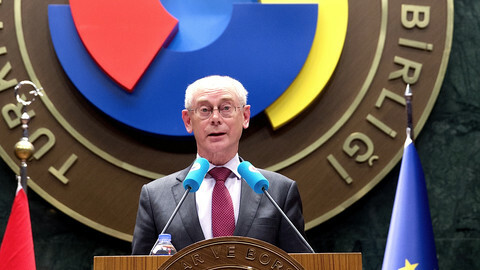 Meanwhile, the Irish presidency is keen to open a new negotiating "chapter" in EU-Turkey accession talks in June. 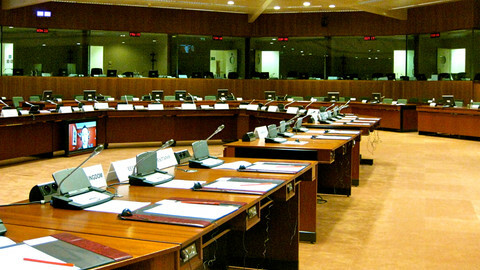 The item is designed to bring Turkish law on regional policy in line with EU legislation. It would mark the end of a three-year-long pause in the process. But 17 out of the total 35 chapters - including one on trade and another one on customs co-operation - remain blocked because of Turkey's non-recognition of Cyprus. Davutoglu called for the US trade move because he fears Turkey will not benefit from the trade pact by becoming an EU member any time soon. On the Irish regional chapter initiative, he said: "one flower doesn't make spring." 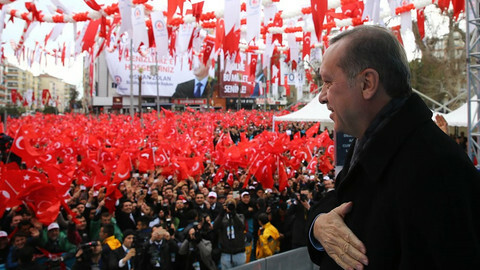 He added: "We are a democratic country, a growing economy, an important player on the international stage … The international system needs Turkey's EU membership more than ever." In what amounted to a lively press briefing, enlargement chief Stefan Fuele said if Turkey adopted the so-called "additional protocol" - a deal on the Cypriot status issue - "several chapters could be opened and closed." He noted: "This is how we would turn a one-flower policy into a fully flourishing garden policy." Davutoglu retorted the 17 chapters are blocked for "political reasons" which go beyond Cyprus, alluding to French and German opposition to its EU entry. 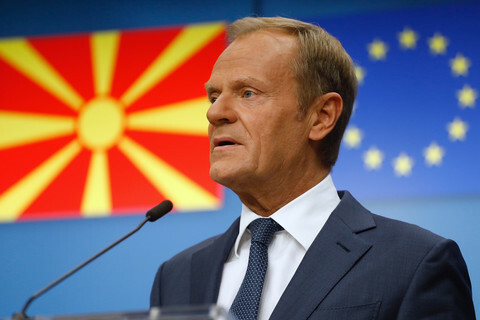 Unlike other EU candidate countries in the Western Balkans, Turkey has an "open-ended" accession process, meaning that member states can reject it even if it meets all technical criteria. The Turkish minister also urged the EU to give visa-free travel to Turkish citizens, which he called "our right." But the commission says visa-free talks can only start after Turkey adopts a readmission agreement, obliging it to take back all irregular migrants who enter Europe via its territory.